Hong Kong Convention and Exhibition Centre (Management) Limited (“HML”) is committed to sustainability and strives to be at the forefront of a more sustainable event industry. To this end, HML has introduced a new sustainability initiative under the slogan “Think Before Plastic,” with a series of new measures being rolled out from the start of its new fiscal year on July 1, 2018. Community engagement is important to the success of any sustainability initiative. HML is therefore encouraging visitors and event attendees to bring their own bottles when attending events at the HKCEC, and to make use of the 18 water fountains in the HKCEC for free refills. Of these water fountains, 13 are located inside the exhibition halls, four are in the corridors of meeting rooms, and one is located in the back of house area for the use of staff members and contractors. To promote the water fountains, prominent signs have been added in exhibition halls and meeting room corridors. 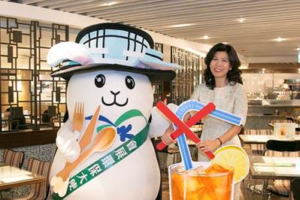 Monica Lee-Müller, HML’s managing director and also the primary driver of the “Think Before Plastic” initiative, said, “All of us – venue operators, event organisers, exhibitors, buyers, visitors, event attendees, dining guests – have a responsibility towards our environment. HML is striving to be at the forefront of a greener event industry, and one way we are doing this is by encouraging our customers, event organisers, contractors, suppliers, and stakeholders, as well as other event industry players, to think before using disposable plastic items. HML was the first organisation in Hong Kong to achieve ISO 20121 Event Sustainability Management System recognition. This certification recognises that HML has fully incorporated the concept of sustainability into the entire event management cycle, including its operation procedures and guidelines. Great to see HKCEC’s achievements in this important area getting some airtime, a great example for all.